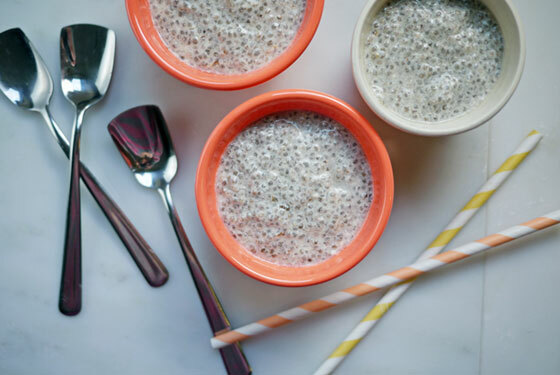 Here’s a recipe I’ve road tested every day this week and have officially embraced: chia seed “tapioca” pudding. Yum! Mix the chia seeds with the almond milk in a small Tupperware container or small bowl and stir. Add a teaspoon or less of agave and stir again. Cover and place in the refrigerator for an hour or two. If the spirit moves you, when it’s setting stir again and break up clumps that will form. The chia seeds will expand and absorb the almond milk, forming a thick pudding that will stick to a spoon, even upside down. It tastes like tapioca. Zhuzh it up with berries when you serve and sprinkle on a dash of cinnamon.